One of the NuGet packages I maintain is approaching 100,000 downloads. I thought it would be nice to get a notification on my phone when the number of downloads hit 100,000. 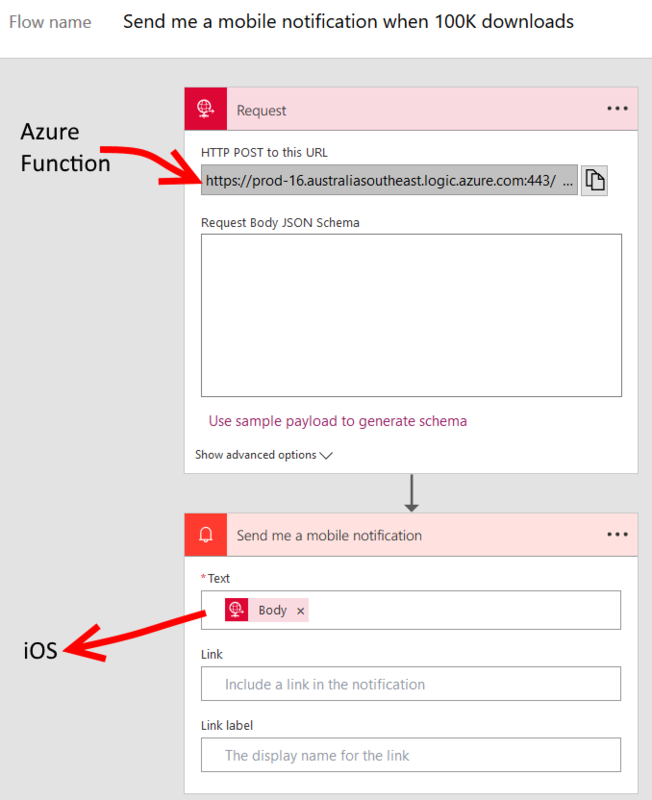 To implement this I installed the Flow app on my iPhone, wrote an Azure Function that executes on a timer, and calls into Flow. The first step is to create a new Microsoft Flow that is triggered by a HTTP Post being sent to it. The flow uses a Request trigger and a URL is auto generated by which the flow can be initiated. 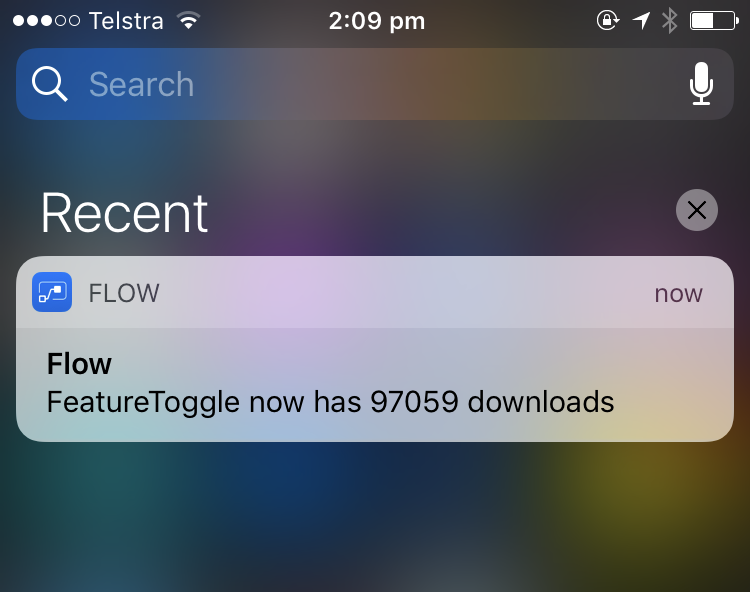 The second step is the Notification action that results in a notification being raised in the Flow app for iOS. Now that there is a URL to POST to to create notifications, a timer-triggered Azure Function can be created. This function screen scrapes the NuGet page (I’m sure there’s a more elegant/less brittle way of doing this) and grabbing the HTML element containing the total downloads. If the total number of downloads >= 100,000 , then the flow URL will be called with a message in the body. The timer schedule runs once per day. I’ll have to manually disable the function once > 100,000 downloads are met. This demonstrates the nice thing about Azure Functions, namely that it’s easy to throw something together to solve a problem. To jump-start your Azure Functions knowledge check out my Azure Function Triggers Quick Start Pluralsight course. Awesome! Simple & clean implementation. Nice clean, learned a lot from this.